Sinusitis is the inflammation of the sinuses. Inflammation leads to ostium (the opening that communicate the sinuses with nasal cavity) obstruction and cilia (small hairs that line the sinuses and function to remove mucus from the sinuses) impairment. When it happens mucus are stagnated in the sinuses and sinusitis symptoms appear. If mucus stagnated in the sinuses are infected we have sinus infection. So, not all sinusitis sufferers have infection but all have inflammation, the starting point in this vicious circle of rhinosinusitis (inflammation favors infection and infection favors more inflammation). 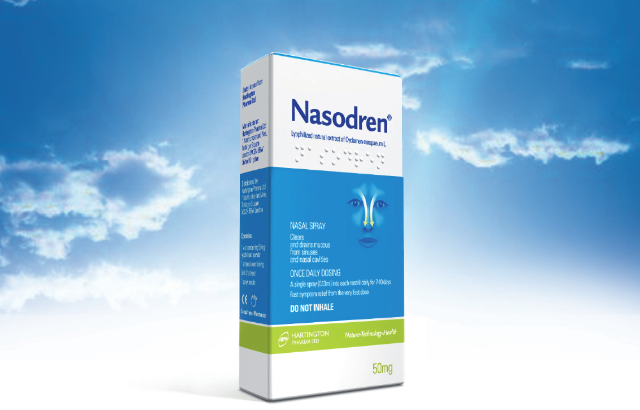 Activating the physiological defense mechanisms of the upper airways (increased mucus secretion, greater ciliary cleansing activity and increased arterial blood flow) that are impaired during rhinosinusitis, helps to reduce and prevent inflammation.